Situated in Sanza, this bed & breakfast is within 16 mi (25 km) of Bussento Caves, Certosa di San Lorenzo di Padula, and Baptistery of San Giovanni in Fonte. Convent of St. Francis and Joe Petrosino Museum are also within 16 mi (25 km). 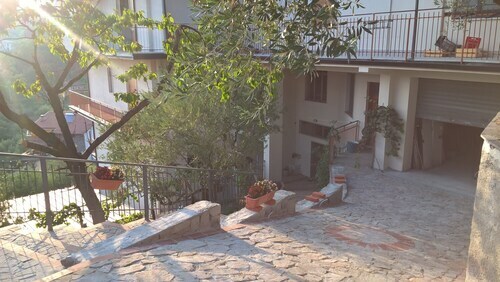 This family-friendly Maratea hotel is located in the historical district, within 3 mi (5 km) of Port of Maratea and Statue of Christ the Redeemer (Cristo Redentore). La Secca Beach and Grotta delle Meraviglie are also within 9 mi (15 km). Set in Salento, this family-friendly farm stay is within 9 mi (15 km) of Casal Velino Marina, Casal Velino Watchtower, and Velia Ruins. Bay of Trentova and Giambattista Vico Foundation are also within 20 mi (32 km). Located in Maratea, this family-friendly hotel is 1.6 mi (2.5 km) from Statue of Christ the Redeemer (Cristo Redentore), and within 6 mi (10 km) of Grotta delle Meraviglie and Port of Maratea. La Secca Beach and Praia A Mare Beach are also within 12 mi (20 km). How Much is a Hotel Room in Sanza? Hotels in Sanza start at $52 per night. Prices and availability subject to change. Additional terms may apply. As there are not any Travelocity-accredited Sanza options within a close range, we offer no less than 7 places to stay that are located just 10 miles (16 kilometers) from Sanza. The La Locanda delle Donne Monache, Basilicata, which is the nearest hotel, is located 20 miles (32 kilometers) from the town center of Sanza. A different nearby Travelocity-listed accommodation option is the Villamirella, situated in Campania, 19 miles (31 kilometers) from the center of Sanza. The Hotel La Torre can be found about 20 miles (33 kilometers) outside downtown Sanza. Another option is the Albergo Santa Caterina, which can be found approximately 20 miles (32 kilometers) away. 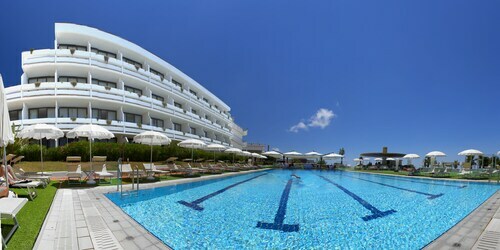 An alternative option is to make a booking at the Hotel Residence L'Oasi Palinuro or the Grand Hotel Pianeta Maratea Resort. After spending time in in Sanza, make sure you investigate some other attractions in Campania. Campania offers beaches, coastal plains, mountains and active volcanos. Commonly visited vacation places of interest are ruins, castles and traditional villages. In this region of Italy adventurous travelers might enjoy mountain climbing, hiking and horse riding. Marina di Casal Velino is 25 miles (36 kilometers) west of Sanza and is home to Casal Velino Marina and Casal Velino Watchtower. Some Travelocity-listed Marina di Casal Velino places to stay include the Hotel Leucosya and Agriturismo Zio Cristoforo. 9 miles (14 kilometers) to the northeast of Sanza, you may also choose to stay at Padula, which features the Grand Hotel Certosa and Villa Cosilinum. Whether you're just passing through or staying in Padula, make sure you explore the Certosa di San Lorenzo and Convent of St. Francis. Before you say your farewells to Cilento, be sure you experience some sport. Visit Arechi Stadium, to the northwest of Sanza. Modern travelers who are thinking about checking in to a room in the vicinity, book in the Hotel Novotel Salerno Est Arechi or Hotel Ancora. When you are traveling through Naples International Airport and would like to base yourself in the area, check out Romeo Hotel or La Ciliegina Lifestyle Hotel. The hotel was under contrusction and there was no visible sign or address on the hotel. It was not located on the roadway and was not easliy visible behind the Burger King. We had 10 reservations and we where not told that for each room there was a required $100 deposit. I had even called the hotel prior to our arrival the day before to ensure everything would be available and there was still no mention to the deposit. The towels were dingy and torn. The grass was overgrown and the pool was filthy. It even adverstised free breakfast but there was none.